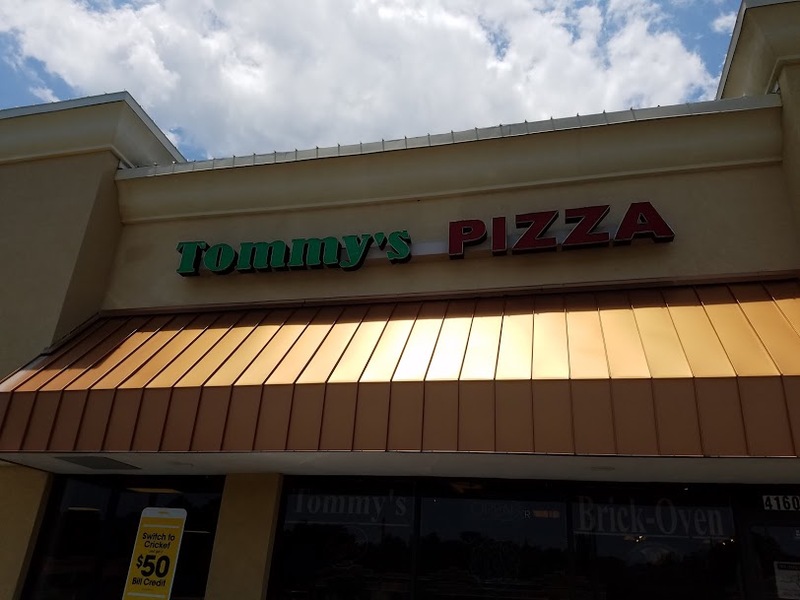 I have heard good things about Tommy’s and today my friend suggested we give it a try. A small spot on the Southside Blvd. access road not difficult to find. 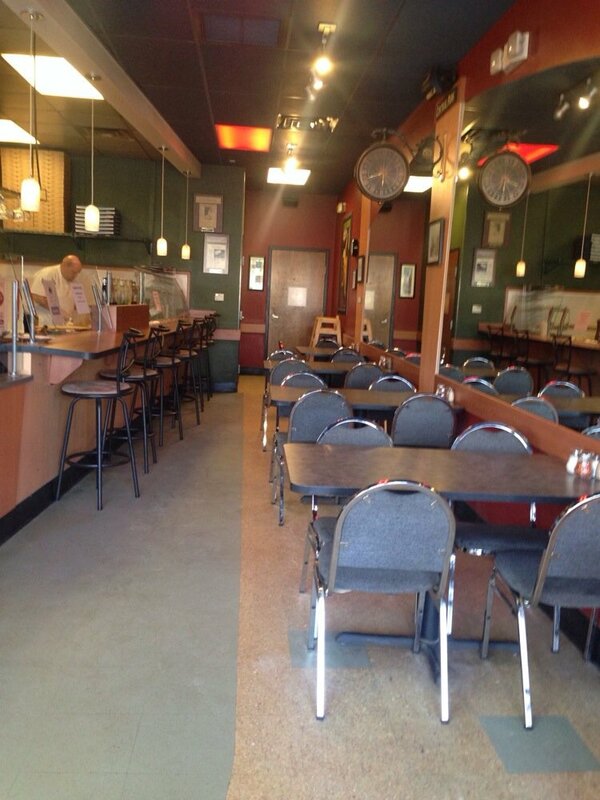 Narrow space with tables against the wall, as well as a few high seats at the window and counter. 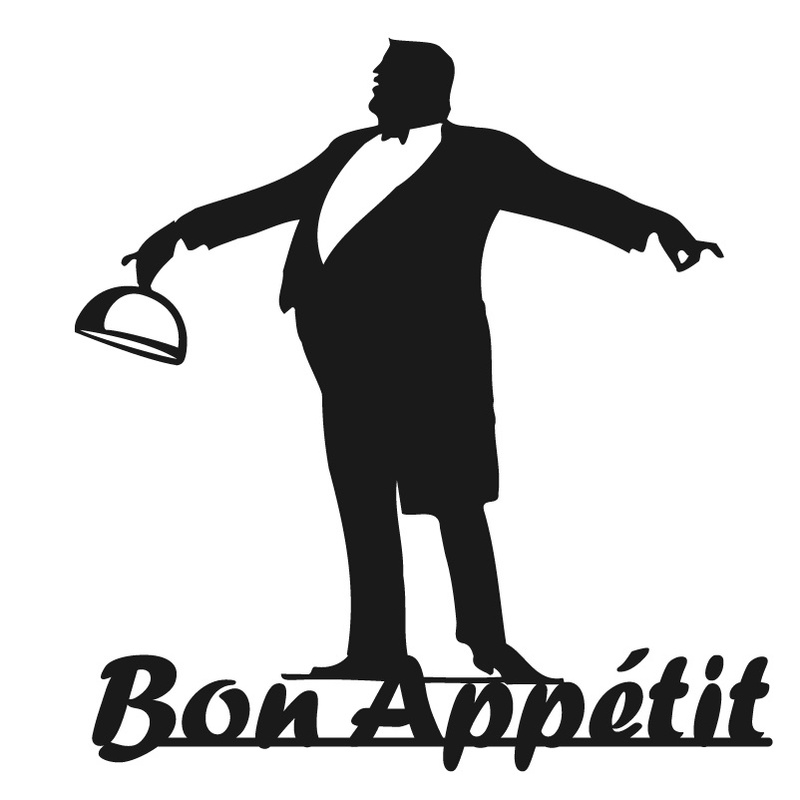 It’s an order at the counter spot, get your drink and the food is brought to the table. There is a chalk board with listings as well as paper menus at the counter. 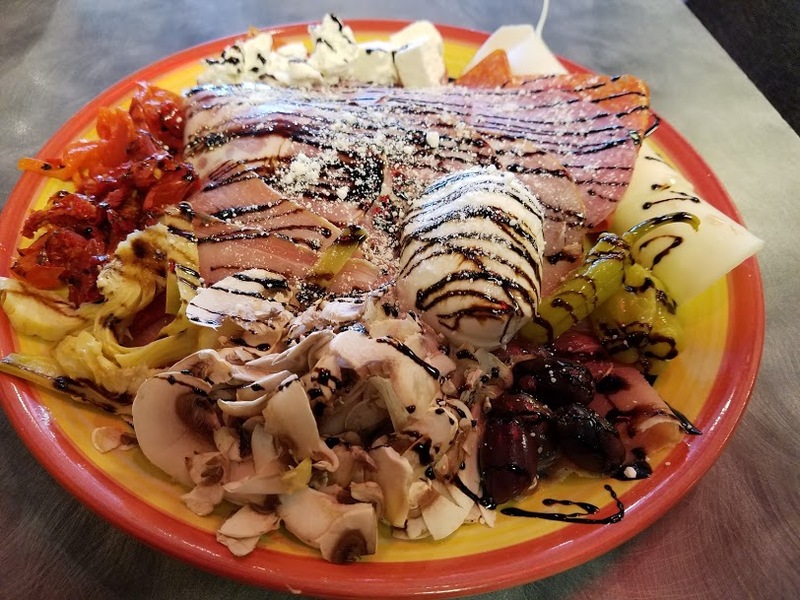 We started with the half Antipasto Plate loaded with Prosciutto, Salami, Pepperoni, Hot Capicola Ham, Provolone, fresh Mozzarella, Chervre, mushrooms, roasted peppers, olives, sun-dried tomatoes and artichokes piled on a bed of baby salad greens, dressed with EVOO and Balsamic. I have not seen a dish served like this since the last time I ate Italian in New York. The meat top quality, one of my favorite Capicola was an extra treat. The half salad was large enough for three or four people but we managed to finish it off. Our Pizza order was the small Fra Diavlo, advertized as the “hottest pizza in town’ and loaded with Italian Sausage, Pepperoni, Hot Cherry Peppers, Banana Peppers plus a special “Secret Heat”. When you think Pepperoni, don’t think those greasy rounds normally found on pizza think long thin slices of nicely flavored meat, well spiced, softer and fine grained meat. 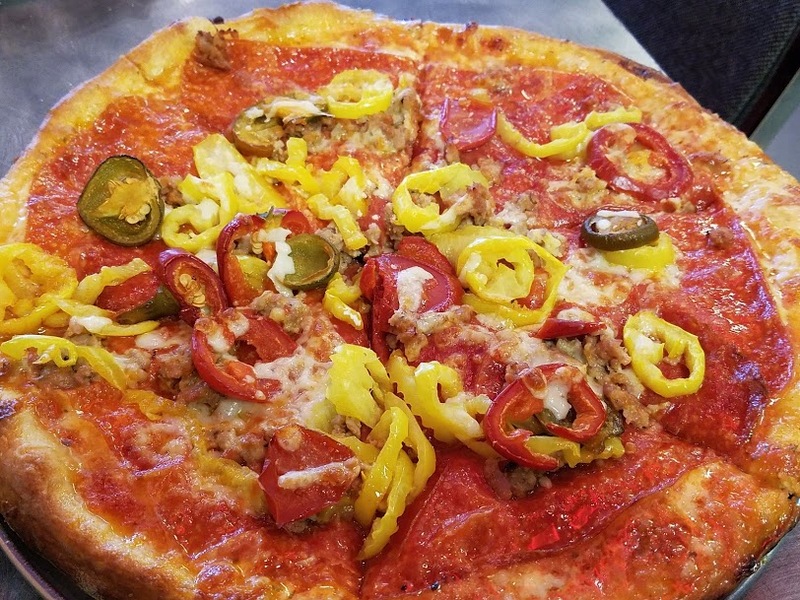 These slices covered the entire pizza,then the cheese and sausage and peppers on top. We never did find out what the Secret Hot sauce was but they did not lie. I like spicy but this may have been a little over the top for me. My friend ate with total gusto. One of the best thing about brick over pizzas, the crust. We both remarked about the crispness, a beautiful brown roasted edges and bottom. 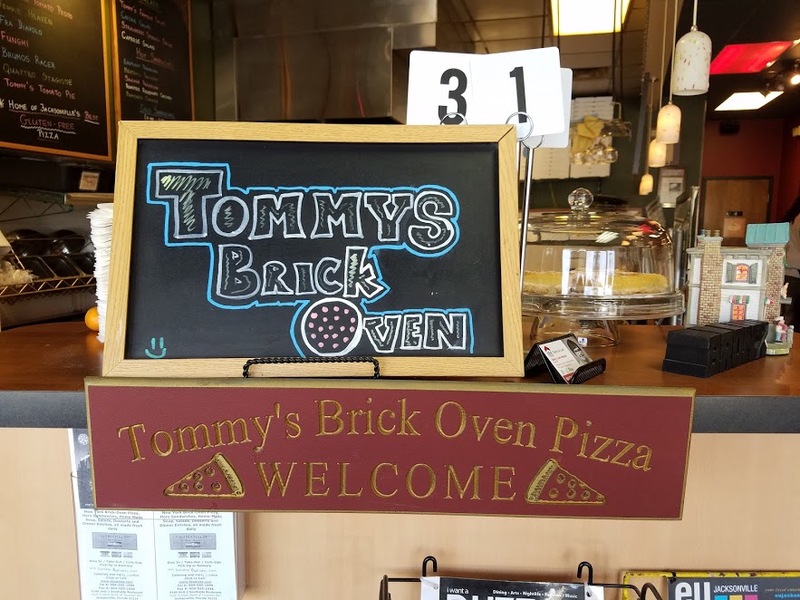 The take away, while this spot is not large enough for groups, a party of 4 can fit nicely at one table, you know the drill by now, if you’re a regular reader, get the pizza lovers in your crew, and head over to Tommy’s Brick Oven Pizza for one of the best pies on this side of town. They also offer Calzone or Stromboli if pizza is not your thing. Don’t forget Tommy’s Holy Cannoli.